About 150 people staged a vigil and protest in honor of Stephon Clark outside a sheriff's department office in South Sacramento. The event on Saturday night was the latest disruptive but mostly peaceful demonstration since the unarmed, 22-year-old Clark was shot and killed on March 18 by Sacramento police. The Sacramento Bee says protesters held candles, chanted near a busy intersection and marched in the street. The protest was held outside the sheriff's office because of the department's involvement in the March 18 chase of Clark. A sheriff's deputy is heard In helicopter video saying the suspect, later identified as Clark, broke a window and was running. The latest protest was organized by the ANSWER coalition, which stands for Act Now to Stop War and End Racism. At one point, it appeared in video that a slowly moving sheriff's vehicle hit a protester but the demonstration continued. 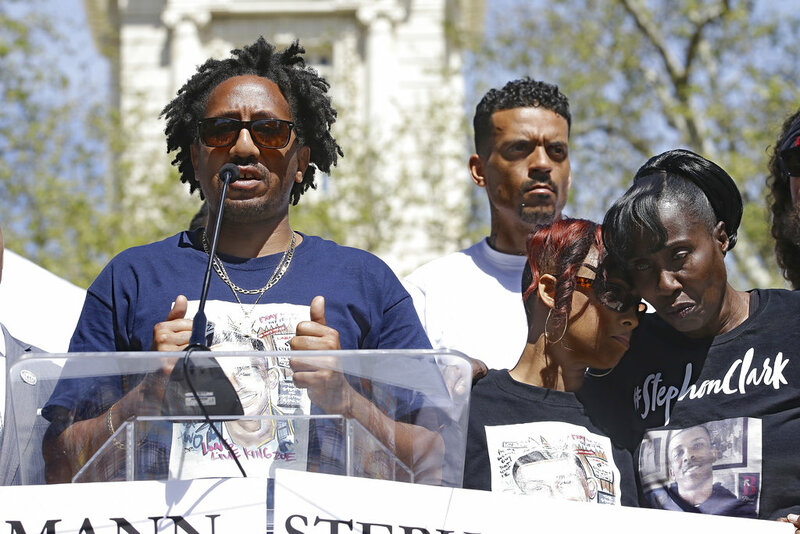 The family of Stephon Clark joined hundreds of people at a peaceful rally to renew calls for police reform nearly two weeks after the 22-year-old, unarmed black man was killed by Sacramento officers. Clark's fiancee, Salena Manni, stood on stage with his two young sons, grandmother and uncle for the gathering Saturday organized by Sacramento native and former NBA player Matt Barnes, who pledged to create a scholarship fund for the children of black men killed by police. Barnes amplified calls for charges against the two officers who are on administrative leave after the killing of Clark. The demonstration drew between 200 and 300 people to a downtown park. The night before, several hundred protesters marched through downtown for nearly four hours, with Black Lives Matter Sacramento leaders diffusing tensions on several occasions to keep the march peaceful. Dozens of protesters of a Sacramento police shooting of an unarmed black man have gathered for a rally, including the man's fiancee and young children. At least 150 people were at a downtown park Saturday afternoon for a demonstration in the wake of the March 18 shooting death of Stephon Clark by two police officers. Clark's fiancee is on stage and expected to speak. The rally was organized by former NBA player and Sacramento native Matt Barnes, who says the fight for justice for Clark is about "more than just color." 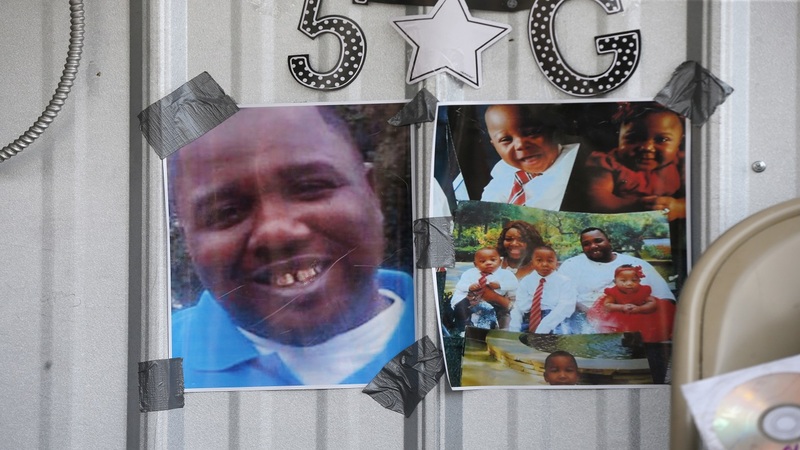 An autopsy commissioned by Clark's family and released Friday shows police shot him in the back. Police have handcuffed shut a downtown Sacramento hotel door to stop protesters from entering as they march against the recent killing of an unarmed black man. Capital Public Radio reports protesters had a brief confrontation with police outside the hotel. The scuffle came during the fourth hour of a protest that began at City Hall and continued through downtown streets blocking traffic. The protest has largely remained peaceful, with leaders of Black Lives Matter Sacramento helping diffuse tensions. Protesters and the police had a brief standoff near a ramp onto the interstate before protesters went a different direction. 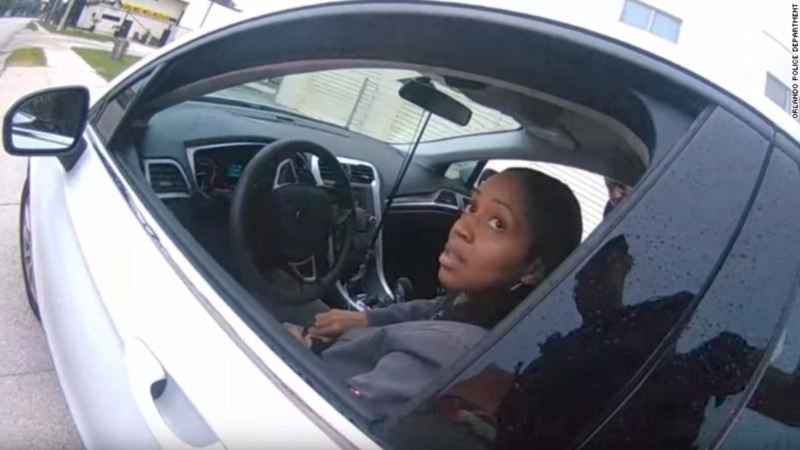 They're calling for justice for 22-year-old Stephon Clark who was shot March 18 by police who were responding to a call of someone breaking car windows. An autopsy commissioned by Clark's family and released Friday shows police shot him in the back. Calls for justice and charges against two police officers who fatally shot an unarmed black man aren't abating in California's capital city after an autopsy showed Stephon Clark was shot in the back. 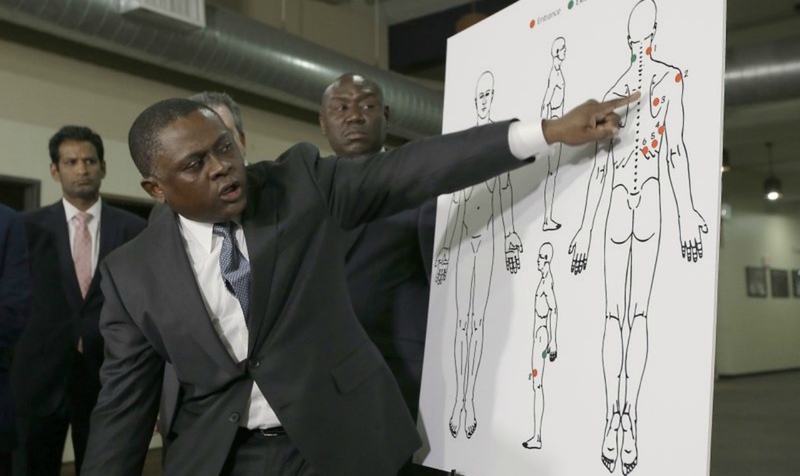 The findings by pathologist Dr. Bennet Omalu counter the department's narrative that Clark was approaching the officers when he was killed. Several hundred protesters marched through downtown streets Friday for the fourth evening in a row after a community meeting at a South Sacramento church with several Sacramento Kings players. Another rally is planned for Saturday afternoon, hours before a Sacramento Kings-Golden State Warriors game will bring thousands of fans to the downtown arena that protesters have twice blocked. Clark was killed March 18.